Hair extensions, especially quality ones, might cost a little bit more but they are a long-term and worthy investment. When you make this splurge, you need to take proper care of your hair extensions. To make sure your extensions last as long as possible you need to maintain them properly. In addition, if not treated properly extensions can damage your own hair. Keep in mind that real hair extensions and synthetic hair extensions are different and require different routines. So, keep reading to find the best ways to preserve your hair additions! It is not hard to take care of human hair extensions, but there are some suggestions you should keep in mind. Keep your hair clean because sweat and dirt can make the extensions tangle. You should wash the extensions with sulfate- or paraben-free shampoo. Before shampooing, detangle your hair from the ends to the roots, and then wash your hair from the roots to the ends. You should condition your hair often, but keep in mind that conditioner should not be applied to the root area or near the attachments. 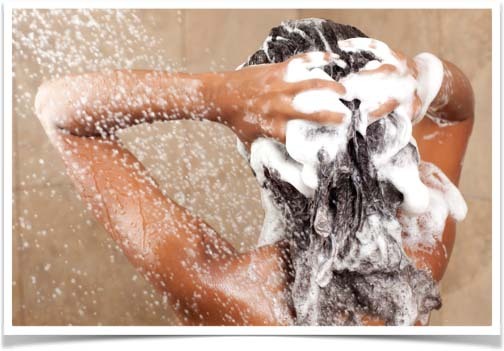 You should dry your hair naturally as frequently as possible. Try to avoid sleeping on wet hair. You can also tie your hair in a ponytail before going to bed to prevent tangling. In addition, special brushes (soft bristle brushes) are recommended for brushing hair extensions. Start at the ends and work your way up. Of course, all brushing should be done in a downward motion. Heat, chlorine and salt water are the biggest enemies of human hair extensions, so try to avoid them. You can wear swim caps or keep your hair in a ponytail to keep it out of the water. If your extensions do get wet, shampoo and condition your hair as soon as you get a chance to do so. Some synthetic hair extensions are made out of higher quality fibre that behaves more like natural human hair, unlike the lower quality fibre hair extensions. Certain types can be styled with heat, but you should be very cautious since heat can melt the hair extensions. Before heat styling of your hair extensions, it is recommended that you use a conditioning spray that protects the extensions from heat damage. Synthetic hair gets dull very fast. To eliminate dullness you should buy shampoos that have been specially formulated for synthetic hair. Synthetic hair extensions should be washed with cool or lukewarm water. To avoid tangles, use a wide toothed comb and style hair only when it is completely dry. Unlike human hair extensions, sun and swimming do not have an effect on synthetic hair extensions. Clip-in hair extensions are temporary, whereas permanent extensions can stay on your hair from six weeks to three months. Styling and washing temporary extensions is not recommended. However, to make sure that your permanent hair extensions look as good as they did on their first day, make sure to maintain a proper care routine of your extensions and to follow the specific instructions you get from your hairstylist.